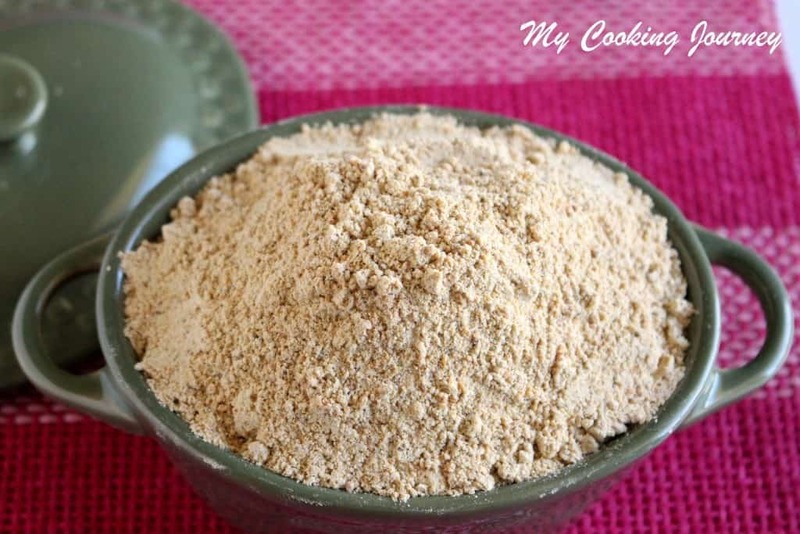 Having homemade masala powders and spice powders are a blessing. 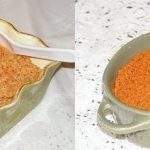 They are much more flavorful than the store bought ones and we can always control the ingredients that go in to them. 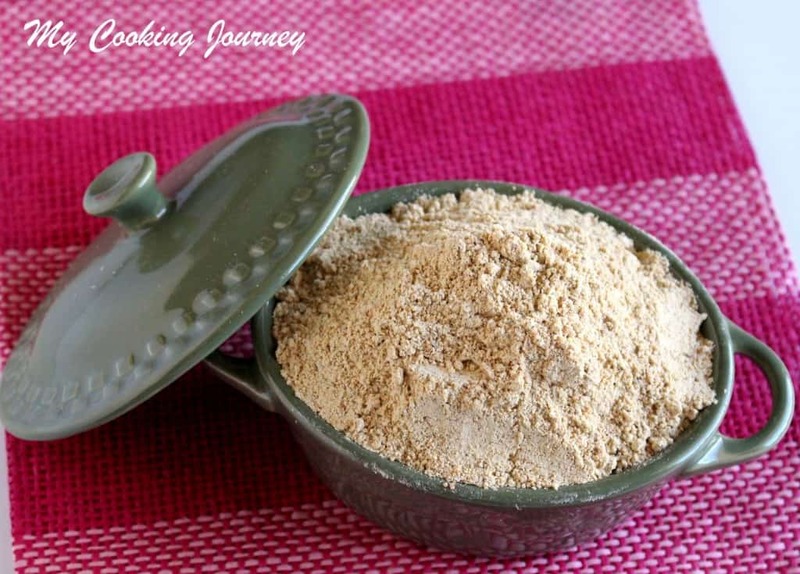 I have always bought back these prepared powders back from India in the past, but lately have been making my own a lot. 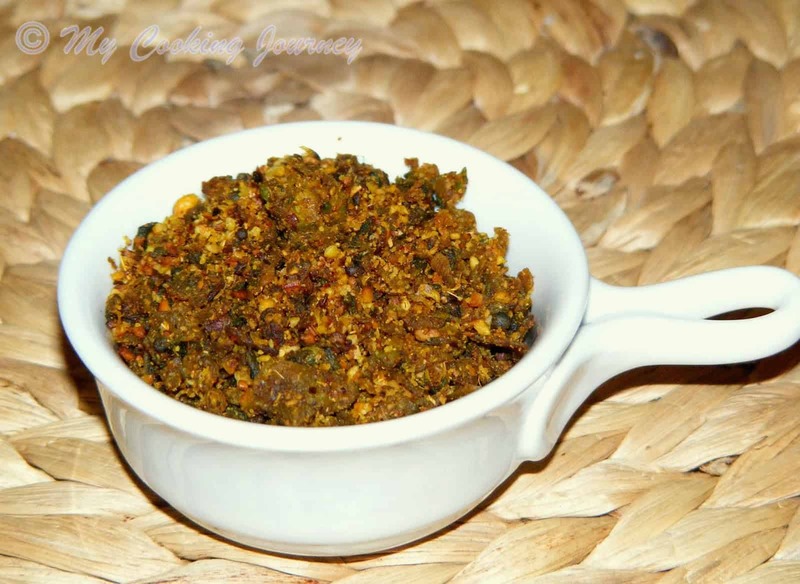 Last month I had made my very favorite Poondu Paruppu podi (garlic flavored Lentil powder). We are taking a big road trip next week and are going to be meeting our cousins and families. We have decided to partly cook our meal during our stay outside and we needed some kind of podi that can be mixed with rice and eaten. 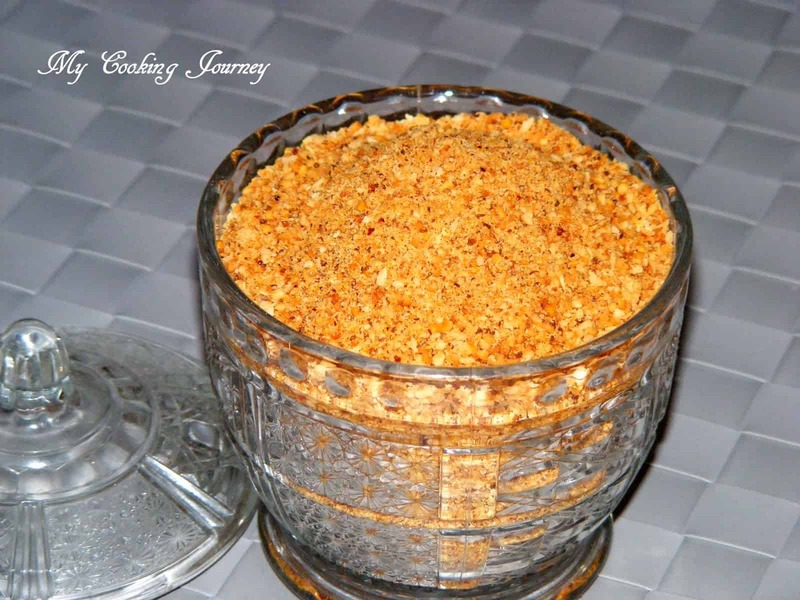 Paruppu podi was the preferred choice and I volunteered to make it for our trip. 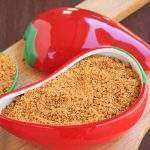 I did not make the poondu paruppu podi because I was not sure if everybody likes garlic. 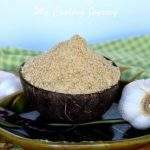 Hence I made the very traditional regular paruppu podi yesterday. The best part is my little one loves it and has been eating it since yesterday in all his meals. Also my elder one totally enjoyed it. I made a large batch and packed most of it for the trip and I have left a little bit for the boys. 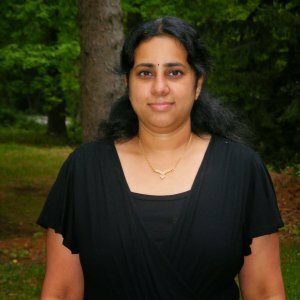 I made some Poricha kootu for lunch and we had paruppu podi saadham with the kootu. This is totally my kind of food that I love on a weekend. This week the theme I chose for BM is Lentil’s cooked in 3 different ways. 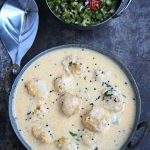 This is my first recipe under the theme. Heat a kadai / pan and add 3-4 drops of oil in it. 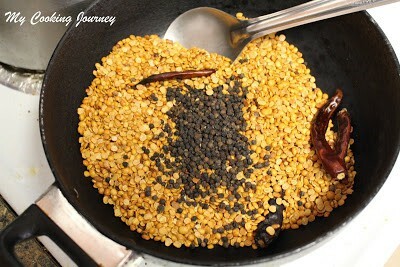 When the oil heats up, add the Tuvaram paruppu / toor dal and the red chilies in the pan. 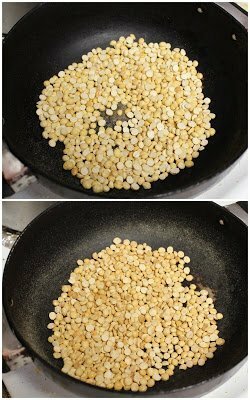 Fry them until the dal is golden brown in medium heat. 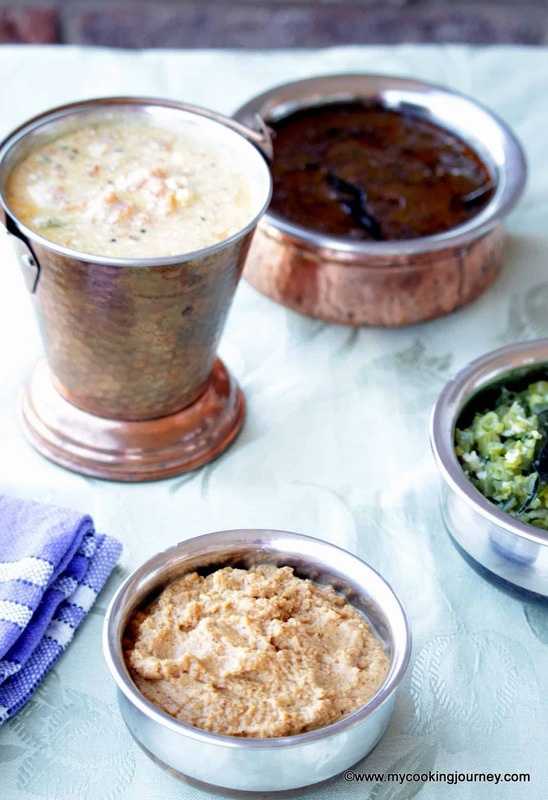 Make sure to stir often as the dal could get burnt easily. 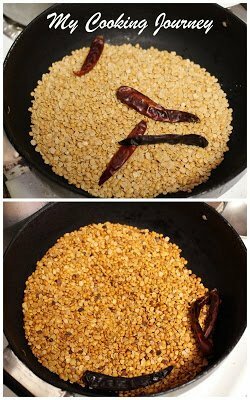 Also the dal could be fried without any oil, but my mother says that adding a few drops of oil allows the paruppu podi not to be too dry. 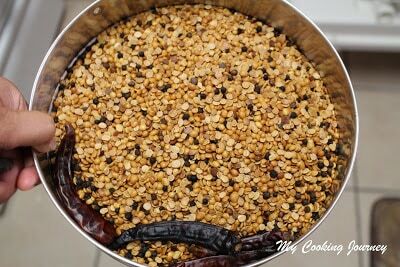 Once the dal is golden brown, add the Milagu / peppercorns to the same pan and fry further for 5 more minutes. You will notice that the pepper will start to become very aromatic. Remove this on a wide bowl. 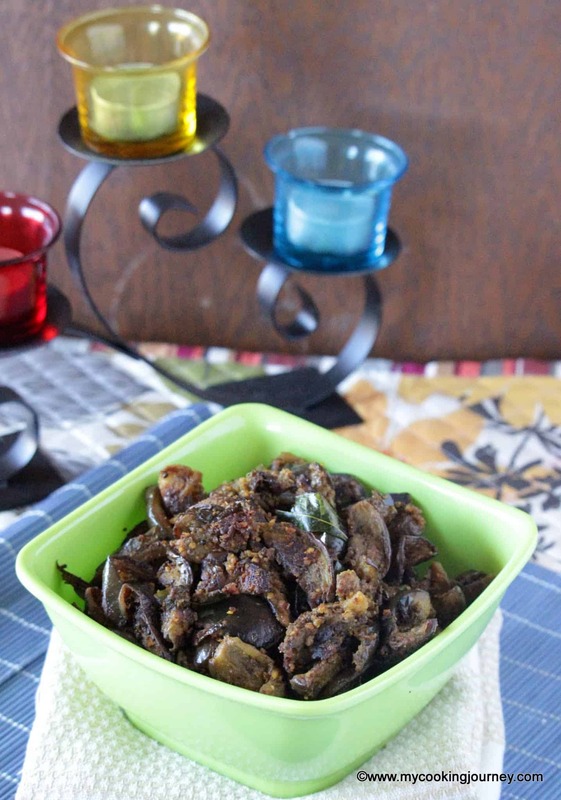 In the same pan, add the roasted gram / pottukadalai and fry until it become light brown. Keep stirring as the pottukadalai fries very quickly. Remove it on the same bowl as the rest. 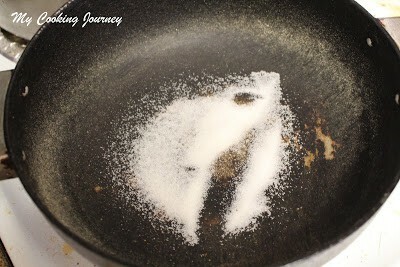 Now add the needed salt to the hot pan and fry for about 30 seconds. Add it to the bowl and let all the ingredients cool down to room temperature. 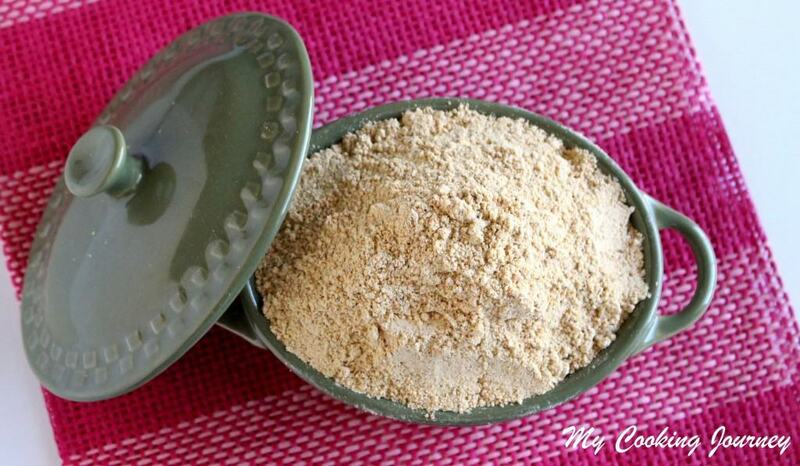 Once they cool down, grind it into powder in batches. 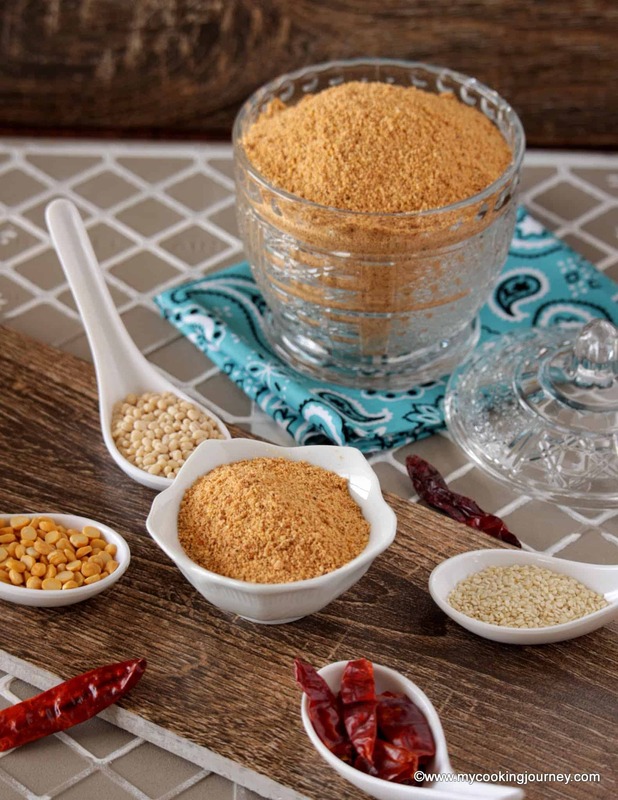 In the end, add all the ground mixture and grind it once again to properly incorporate all the ingredients. 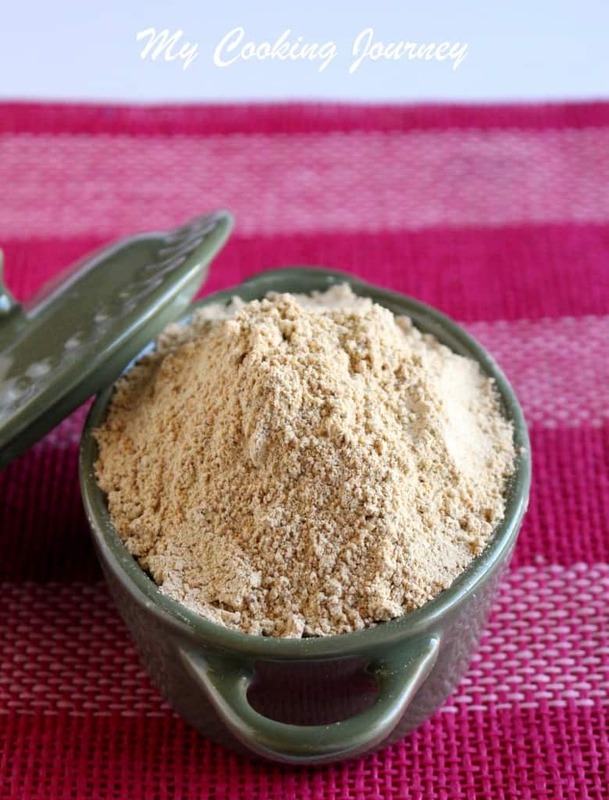 Let it cool down completely and then store the powder in an airtight bottle. 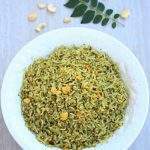 Add a tbsp or so of the powder to hot rice with a dollop of ghee / nei or nallennai and enjoy!